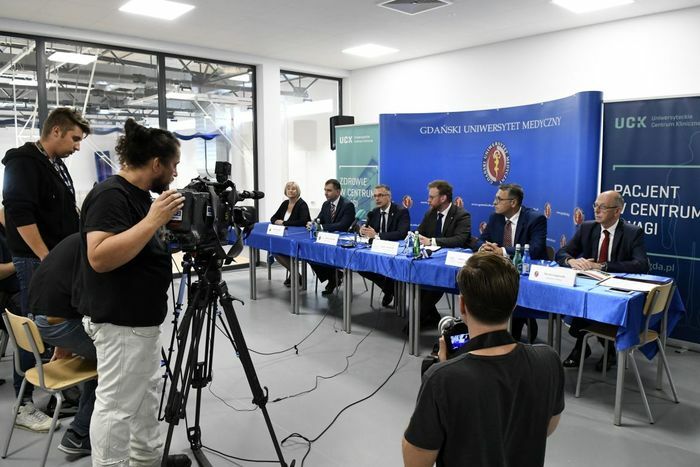 The opening celebration of the largest investment carried out by the Medical University of Gdańsk – the Non-Invasive Medicine Centre (NIMC), is behind us. 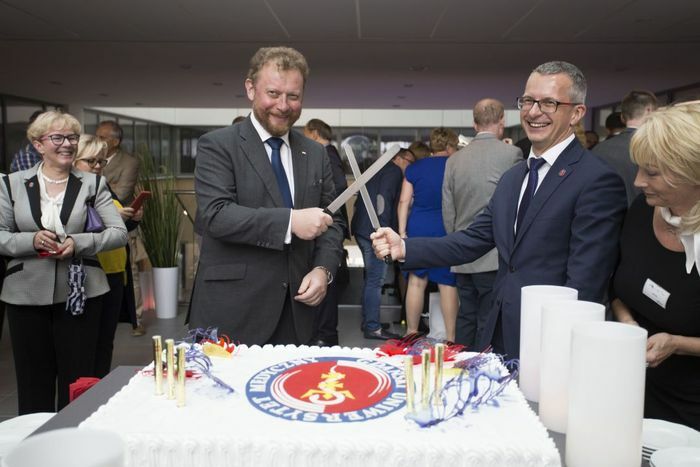 On the same day, the MUG’s Sports Centre was officially opened, which is the most modern academic sports facility in Pomerania. 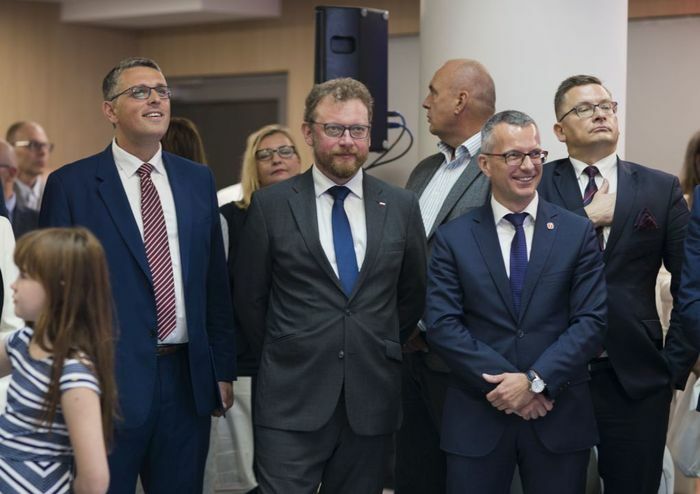 In the opening ceremony participated representatives of the University and the University Clinical Centre; Minister of Health, Łukasz Szumowski; Deputy Minister of Sport Jarosław Stawiarski, on behalf of the Minister of Science and Higher Education Karol Rabenda and numerous members of the Polish Parliament. 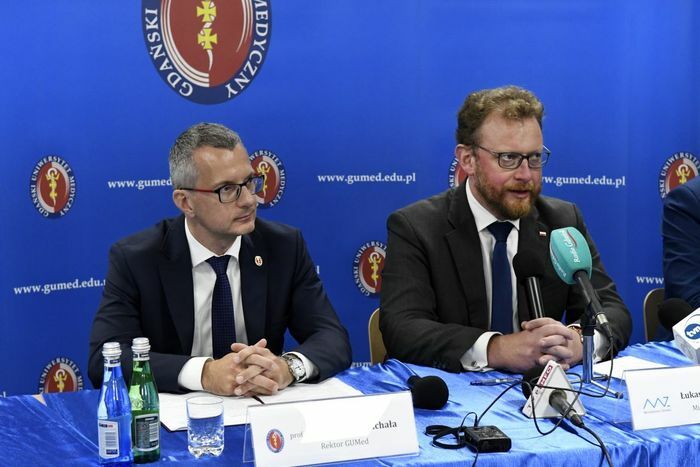 The Pomeranian Football Association, the strategic partner of the Sport Centre, was represented by its vice president Maciej Wierzbowski. The NIMC building consist of four buildings: three arranged in a U-shape and the fourth building connected with them. Its construction is divided into two stages. This is due to the fact that a number of clinics will be relocated and buildings will be knocked down to give space for the second stage of construction. 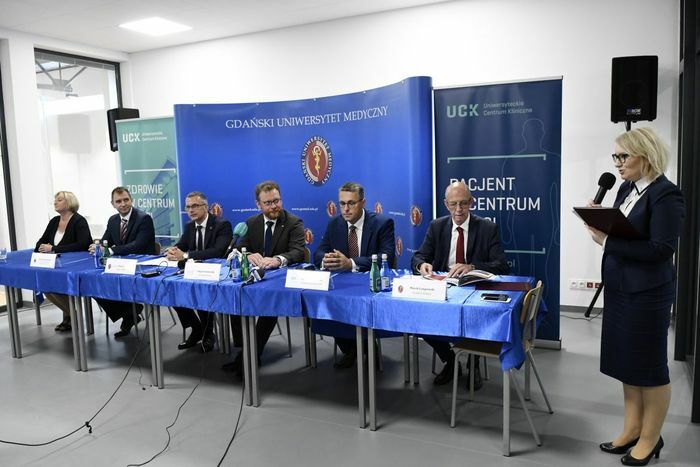 The first stage of the construction is planned for 2015-2018 and includes buildings B, C and D, the second stage for 2018-2020, and includes construction of the building A.